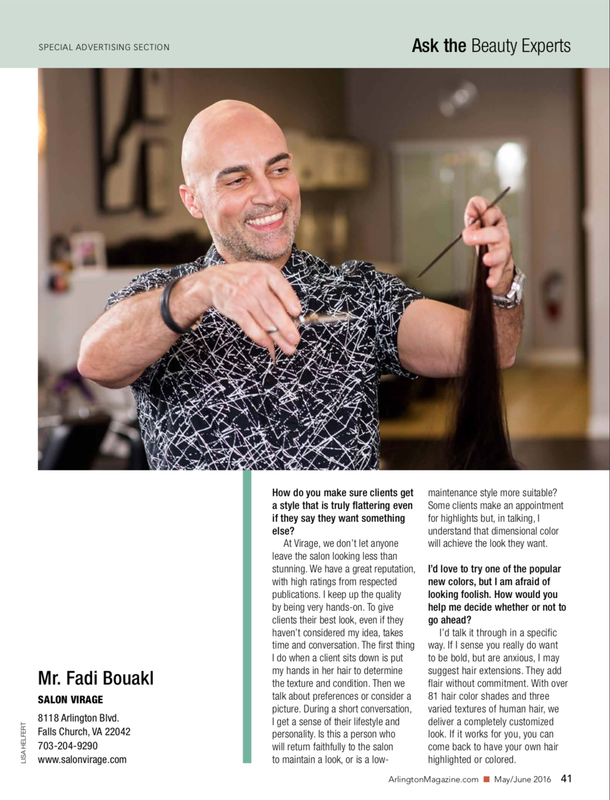 Fadi answers some questions that we often wonder. He gives us some insight on how the stylists at Virage figure out what looks best on us! "How do you make sure clients get a style that is truly flattering even if they say they want something else? maintenance style more suitable? Some clients make an appointment for highlights but, in talking, I understand that dimensional color will achieve the look they want. I’d love to try one of the popular new colors, but I am afraid of looking foolish. How would you help me decide whether or not to go ahead? to be bold, but are anxious, I may suggest hair extensions. They add flair without commitment. With over 81 hair color shades and three varied textures of human hair, we deliver a completely customized look. If it works for you, you can come back to have your own hair highlighted or colored."